During the course of the step-by-step upgrading of Wendelstein 7-X, the plasma vessel was fitted with inner cladding since September of last year. Graphite tiles are now protecting the vessel walls. In addition, the so-called “divertor” is used to regulate the purity and density of the plasma. In ten broad strips on the wall of the plasma vessel, the divertor tiles follow the contour of the plasma edge. Specifically, they cover the wall areas on which the particles from the edge of the plasma are diverted in a targeted way. After three months of experiments with the new equipment, the next round of upgrades began at the end of 2017; among other things, new measuring devices and heating systems were installed. The experiments were resumed from July 2018 onwards. While the divertor had already demonstrated its good impact in the past (see PR 4/2018), the plasma values with help of the extended plasma heating in combination with purified vessel walls could now be significantly increased. The newly installed neutral particle heating injects fast hydrogen atoms into the plasma, which transfer their energy to the plasma particles via collisions. The result was high plasma densities of up to 2 x 10**20 particles per cubic meter – values that are sufficient for a future power station. At the same time, the ions and electrons of the hydrogen plasma reached an impressive temperature of 20 million degrees Celsius. 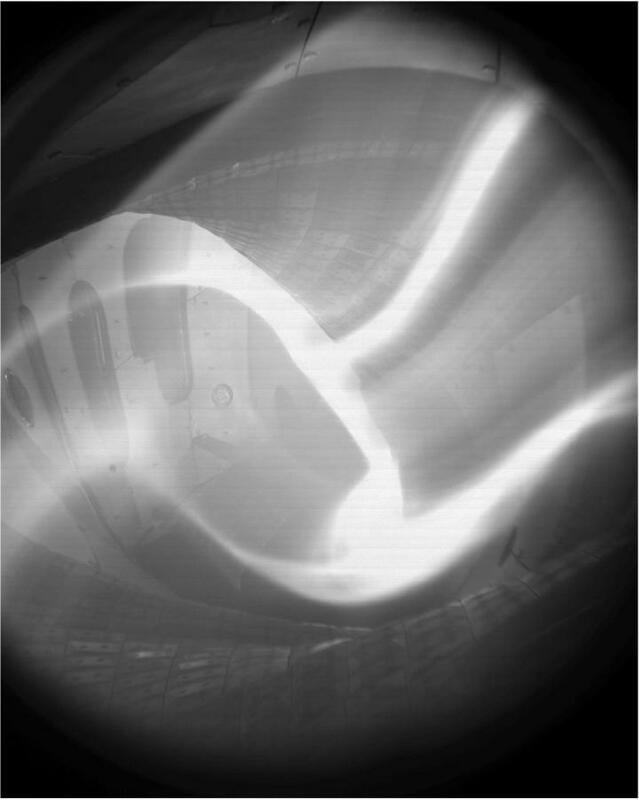 Record stellarator values achieved Wendelstein 7-X for the energy stored in the plasma. By strong microwave heating, the energy content of the plasma exceeded one megajoule for the first time, without the vessel wall becoming too hot. With good plasma values, long lasting plasmas over durations of 100 seconds have been obtained – also one of the best stellarator values to date. The final experiments were conducted in mid-October; in the meantime, the next round of upgrades on Wendelstein 7-X has begun. In order to be able to further increase the heating energy without overloading the vessel wall, the current graphite tiles of the divertor will be replaced over the next two years by water-cooled elements made of carbon fibre-reinforced carbon. With this equipment, work will be conducted on a step by step basis with the aim of achieving plasmas that last for 30 minutes. Then, it will remain to be seen whether Wendelstein 7-X can also fulfil its optimisation goals during continuous operation – the essential advantage of stellarators. The goal of fusion research is to develop a climate- and environment-friendly power station. Like the sun, it is to derive energy from the fusion of atomic nuclei. Since the fusion fire only ignites at temperatures of over 100 million degrees, the fuel – a low-density hydrogen plasma – must not come into contact with cold vessel walls. Held by magnetic fields, it floats in an almost contact-free manner in the interior of a vacuum chamber. The magnetic cage of Wendelstein 7-X is generated by a ring of 50 superconductive magnetic coils which are about 3.5 meters high. Their specific forms are the result of elaborate optimisation calculations. Although Wendelstein 7-X is not designed to generate energy, the device is intended to prove that stellarators are suitable for use in power stations. With Wendelstein 7-X the intention is to achieve for the first time in a stellarator the quality of confinement afforded by competing devices of the tokamak type.